LAST week, the Minister for Federal Education and Professional Training Shafqat Mahmood, was forced to issue a clarification on the future of the GCSE/GCE (‘O’ and ‘A’ level) system in Pakistan. One news report had mentioned that the federal government (and specifically, the minister) planned on getting rid of the system in order to establish a uniform curriculum across the country. The punitive aspect of the remark was later on rejected as a case of misreporting, while the overall spirit of the statement — the ambition to see a uniform system of education — was reaffirmed. This is not the first time that such a goal has been delineated by the leadership of the current ruling party. The prime minister has on several occasions referred to an education apartheid of sorts, which, at different points in time, has meant either the language of instruction (Urdu-medium vs English), the nature of the schooling institution (public vs private), or the credential system (BISE vs international). The underlying sentiment is that these multiple variations create and crystallise a system of inequality that feeds into large variations in material and social opportunities. This larger diagnosis, as unspecified and frequently vague as it is, is largely correct. The holy trinity of advantage is accumulated when a child attends a high-cost private school, which helps them learn the English language (among other critical thinking and reading skills), and arms them with a foreign high school credential. Additionally, attending such a school is going to enable a child to make connections with children from other privileged backgrounds, providing valuable social capital that can be leveraged later on in life. It also, as research on cultural drivers of inequality in the West shows, arms children with the right kind of dispositions, tastes, accents, and other cultural markers, which carry a great deal of weight at the top-end of the labour market. 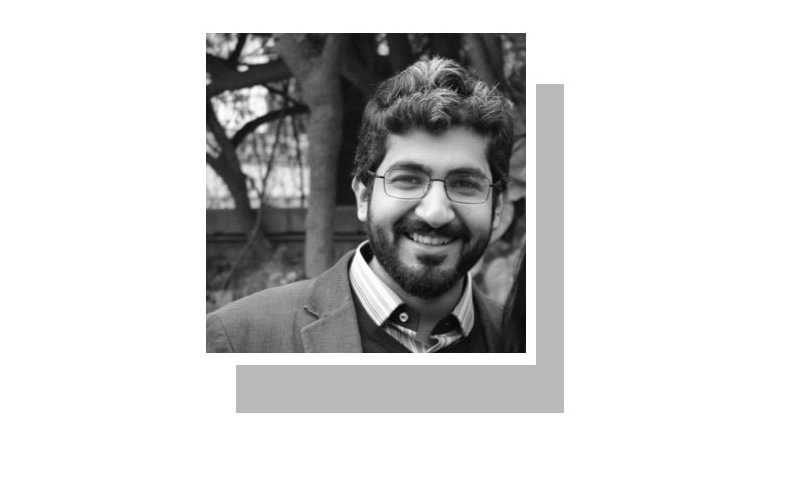 Recent writings on the future of work and employment in Pakistan by Prof Adil Najam show that dignified, stable, and well-compensating employment is a universal desire among the large population of young people entering the workforce. Given that currently Pakistan doesn’t produce as many good jobs, or jobs that are equally available to all, or jobs that pay similar amounts to men and women, the nature of the education system becomes quite important. Banning a system that has expanded considerably over the last two decades may produce all sorts of negative consequences. So how should one approach high-school credentials, the latest aspect of this stratified education system to garner media and political attention? The most radical approach would be to ban foreign schooling credentials in Pakistan, whether it’s the CIE ‘O’ and ‘A’ levels, or the International Baccalaureate diploma, or the American High School certificate. Leaving aside the legality and constitutionality of such a decision, the immediate impact would be that the several hundred thousand (mostly privileged) kids at various stages of foreign credential high-school would shift to their respective BISEs. In the most optimistic scenario, and given that schooling performance is strongly related to household socioeconomic characteristics, these kids would continue to do well in school with little damage to their life chances overall. Let’s continue with this optimistic assessment for a bit. Over time, the increased pressure of schooling kids from privileged households would perhaps improve the quality of curriculum and testing conducted by the BISEs. This would result in gains for kids across income groups, and reduce the inequalities currently found in access to tertiary education. But this is the most optimistic scenario, and probably the most unrealistic as well. Banning a system that has expanded considerably over the last two decades may produce all sorts of negative consequences. It could create new distortions and generate informal markets for foreign credentials accessible only to the richest; it will also likely result in a generation or two of students being locked out of foreign university education due to the low levels of acceptance or status accorded to BISE credentials abroad. Resultantly, the domestic labour market would suffer from the absence of skilled professionals who return after attending university abroad. Given that Pakistan’s state elite is wholly invested in acquiring foreign school credentials for their kids, a ban of this nature will probably never take place. No one in a position of power and authority wants their kids to miss out on the numerous advantages that are obtained through a stratified credential system. The monopolisation of such advantages is literally how social hierarchies are reproduced in this and every other country. However, the larger goal of minimising inequality, or, depending on how one looks at it, increasing opportunity, still remains unaddressed. But it is not unachievable in the absence of bans or other radical interventions. Countries have allowed parallel credential systems to continue without anyone (foreign in particular) exacerbating educational and labour market inequality. India is a pretty good example, in so far that even students from relatively privileged households continue to sit for their federal or state board examinations, even in elite schools. The ‘revolutionary’ task that Indian decision-makers have carried out is to ensure that domestic high school curricula (federal or state) remain up-to-date, the content is in step with the requirements of elite universities in India and abroad, and that the testing system is recognised as robust by foreign universities and education commissions. In short, they’ve ensured that the quality gap, or at the very least, the perception of a quality gap held by universities and employers in the labour market, between the ‘O’ and ‘A’ level system and their local board examinations is limited at best. And in some disciplines, like engineering and medicine, it is actually viewed as the other way around. As a common-sensical blueprint for an intervention in Pakistan, this, rather than a distortion-producing ban, seems like as good a starting point as any. The way to improve education nationwide, is to raise the bottom end, NOT to lower the top end. There will always be a small number of rich families who want, and can afford, a better education than the government schools offer. Let them have it. The important issue, is that the standards in the government schools deliver a high quality education, accessible for all. Educate the masses - it is irrelevant if the "elite" avail themselves of better. Aga Khan Education Board is an excellent example of keeping most updated curricula, modern examination patterns, and yet doing it through BISE system. My kids have gone through this system and are now studying in NUST. Make our own system better than O and A levels and the latter will go away by itself. But we are just keen on ruining what is working, and not improving what is not working! Way to go! Why not have a single national curriculum for all private and public schools based on the O and A levels? Students won't learn much English if they don't watch English language television, chat in English online or speak English at home. @illawarrior, .... .... Educating the masses means educating the parents.